Cissy still likes to come over one day a week, after school, and we bake together. This week she made a quick and easy dessert to take home to her family. The inspiration came from my Quick and Easy Dump Cake Cookbook that my son, Mike, gave me. We are enjoying it outside on a warm, Fall day. Getting out my Fall teacups is always like meeting old friends. 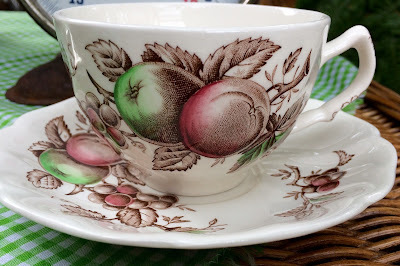 This Johnson Brothers Harvest Time teacup is a favorite. My daughter took a picture of Cissy once she got home, as I had forgotten to! 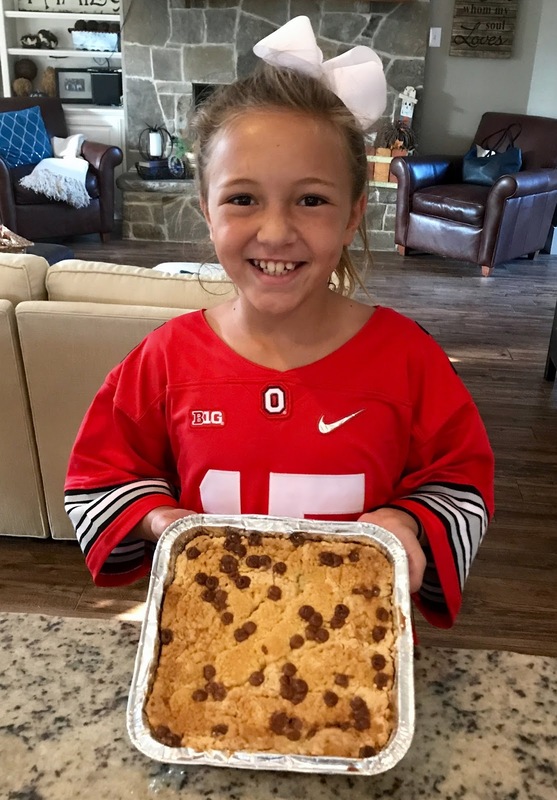 Cissy wore and Ohio State shirt, as it was favorite college team shirt day at school. My grands are Ohio State fans, too, since all four of my kids were born in Columbus, Ohio. Cissy and I made this after school, for her take home to her family. It's a quick dessert and it was something easy for her to assemble. It's good with a scoop of vanilla or some whipped cream. Preheat oven to 350 degrees. Spray a 9-inch square baking dish with nonstick spray. Spread apple pie filling in prepared pan and add the spices, and mix. Top with dry cake mix, spreading evenly. Top with butter in a single layer. Sprinkle on the nuts. Bake for 50-60 minutes. Cool at least 15 minutes before serving. You always post the most delicious recipes, Kitty. How gorgeous your Cissy is and such an accomplished cook as well! 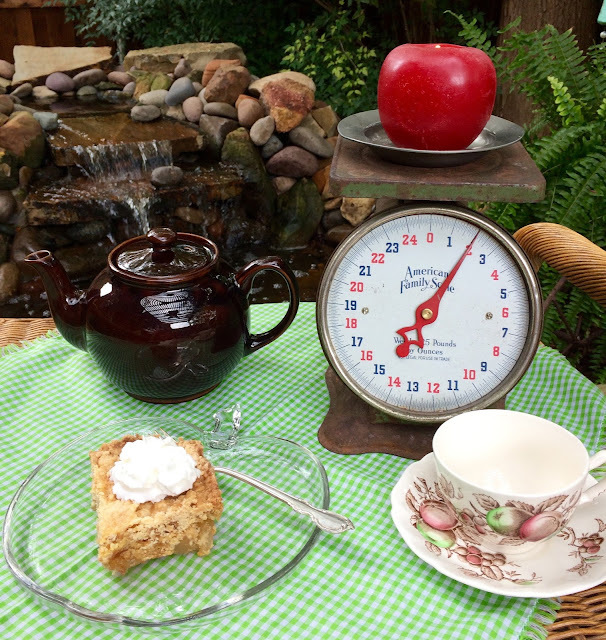 Your cake looks delicious,love apple with cinnamon!Your Fall teacup is just gorgeous!Greetings to Cissy and you.Maristella. Hi Kitty, how fun to have over Cissy one day a week to bake with you! This cake looks so good and perfect for fall and the holidays. Thanks for sharing this at C&C with J&J. Ha, ha, looks like we both were playing with apple pie filling:@) Your cake looks yummy Kitty, have a great week! Oh sweet! This cake sounds fantastic, I LOVE the easy factor! I think I'll make this for company this weekend, thank you Kitty! What a darling little chef you have there! She looks quite pleased with her dessert and so she should be. It does sound yummy. 'Tis the season for apples and pumpkins! Happy Autumn, my sweet friend! What a sweetheart! I have Johnson Brothers as well. Perfect for fall. The cake looks like a perfect thing to make with your darling chef. Your setting is so perfect for a lovely fall Tea. Thanks so much for linking to Tuesday Cuppa Tea. Oh Kitty. I'm afraid I can no longer visit your blog or read your yummy posts lol. I am on a low-carb plan aka low-fun plan! This looks SO SO SO good though and you know how much I love my Buckeyes! Cissy looks adorable! Love those dump cake recipes! I just made the one with cherry pie filling and crushed pineapple. Since I have to watch the sugar, I used a sugar-free cake mix and lite pie filling (has Splenda in it), and crushed pineapple in 100% natural juice. It was great! I just saved this to my recipe file and can't wait to make it. Thanks for sharing! Cissy has certainly inherited your love of baking. Your "dump cake" recipe is so easy that even I can follow it! 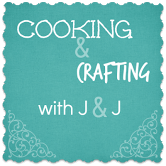 Cake sounds delicious, Cissy is adorable, and I love JB Harvest pattern! So adorable. Another tasty recipe too. What a sweet little cook's helper you have! Oh yes...anything with the words "dump cake" in the title is a winner! Cissy looks so proud! She is certainly going to be a wonderful baker...well, actually she probably already is! Hugs! Love this idea Kitty. The dump cake is so easy. in fact, I am making dump pork chops tonight with apples and onions. Pictures of tea and a new recipe! A double delight today. Hi Kitty, Such a beautiful photo of Cissy holding her fresh made cake for her family. It looks so delicious. I have this book too and enjoy the quick recipes. Lovely outdoor tea setting. Your teacup is so pretty and perfect for fall. Thank you for sharing this recipe. Enjoy our rain today. Let's hope it cools things off a bit. Have a great weekend ahead. What a precious photo of your beautiful granddaughter! You are fortunate to have a her close by you to come and bake. The lovely Harvest teacup and saucer is just right for the fall season. Hope you have a great week and pop over to my post! On my - to make list. thank you for sharing so many goodies. 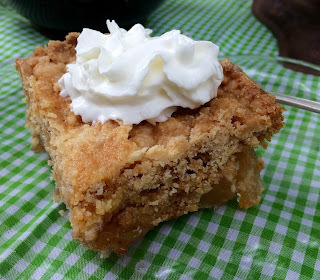 I just love your Granddaughter's delicious Apple Dump Cake, I believe she is going to be a great cook just like you! Thanks so much for sharing your awesome post with us at Full Plate Thursday and come back soon! Strawberry Pie for a Happy 40th Birthday to Tim!